This book contends that Josiah Royce bequeathed to philosophy a novel idealism based on an ethico-religious insight. This insight became the basis for an idealistic personalism, wherein the Real is the personal and a metaphysics of community is the most appropriate approach to metaphysics for personal beings, especially in an often impersonal and technological intellectual climate. The first part of the book traces how Royce constructed his idealistic personalism in response to criticisms made by George Holmes Howison. That personalism is interpreted as an ethical and panentheistic one, somewhat akin to Charles Hartshorne's process philosophy. 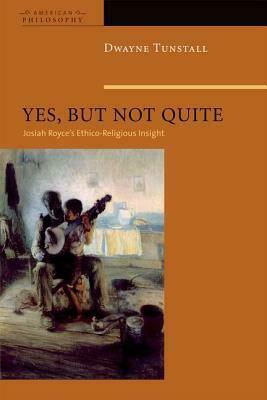 The second part investigates Royce's idealistic metaphysics in general and his ethico-religious insight in particular. In the course of these investigations, the author examines how Royce's ethico-religious insight could be strengthened by incorporating the philosophical theology of Dr. Reverend Martin Luther King, Jr., and Emmanuel Levinas's ethical metaphysics. The author concludes by briefly exploring the possibility that Royce's progressive racial anti-essentialism is, in fact, a form of cultural, antiblack racism and asks whether his cultural, antiblack racism taints his ethico-religious insight.